Developing the thesis that music is a central experience of art and life, the essays in this edited volume focus on the visual and performing arts interrogate and detail significant instances of intra-art relatons which contributed to key developments in modernism and postmodernism. The insistent influence of Wagner is considered, as well as the enduring aura of late-Romanticism into the contemporary period. 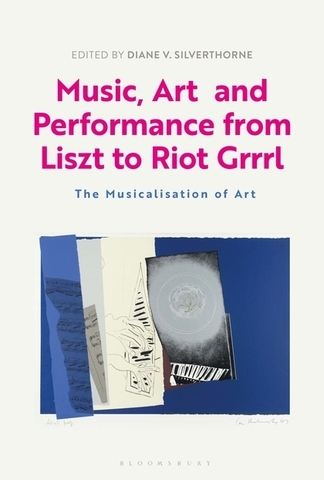 Opening with an account of print portraiture facilitating Franz Liszt's celebrity status and concluding with Riot Grrrl's noisy politics of feminism and performance, this interdisciplinary anthology charts the relationship between music and the visual arts from late Romanticism and the birth of modernism to 'postmodernism', while crossing from Western art to the Middle East. Focused on music as a central experience of art and life, these essays scrutinize 'the musicalisation of art' focusing on the visual and performing arts and detailing significant instances of intra-art relations between c. 1840 and the present day. Essays reflect on the aesthetic relationships of music to painting, performance and installation, sound-and- silence, time-and-space. The insistent influence of Wagner is considered as well as the work and ideas of Manet, Satie and Cage, Thomas Wilfred, La Monte Young and Eliasson. What distinguishes these studies are the convictions that music is never alone and that a full understanding of the “isms” of the last two hundred years is best achieved when music's influential presence in the visual arts is acknowledged and interrogated.